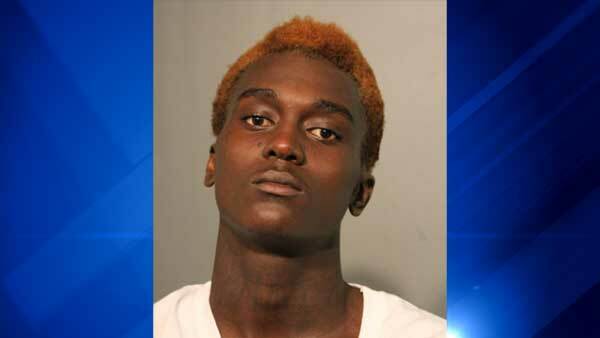 CHICAGO (WLS) -- A 20-year-old Chicago man charged in the July 4 murder of 7-year-old Amari Brown in Humboldt Park is being held without bond. Rasheed Martin appeared before Cook County Circuit Judge Maria Kuriakos Ciesil after being extradited from Wisconsin. Martin was arrested in Superior, Wis., last week. He is charged with first-degree murder in the drive-by shooting that killed Amari and wounded a 26-year-old woman. Both were shot in the chest. The woman was treated and released, but Amari died at a Chicago hospital. Police said the bullet was intended for Amari's father, Antonio Brown, a ranking member of a street gang. Brown's attorney denied that. Prosecutors said Martin fled with two uncharged co-defendants, who he implicated in a statement to police. A public defender representing Martin says he is unemployed and penniless.